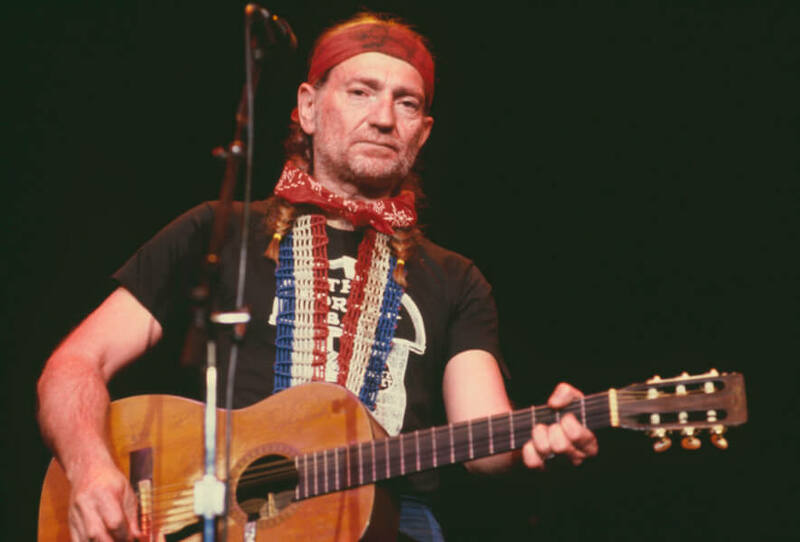 Of all of the country artists in the world, Willie Nelson is one of the most accomplished. Not just in the country universe, but the entire world. The talents of one of this most iconic musicians go beyond his passion for music. The future country star’s mother disappeared shortly after giving birth. His father would abandon Willie, and his sister Bobbie afterward. Fortunately for Willie, he and his sister were raised by their grandparents. The Nelson’s taught them how to sing, and they bought a guitar for the six-year-old Nelson. A year later, he would write his first song. Nelson attended Abbott High School in Texas. 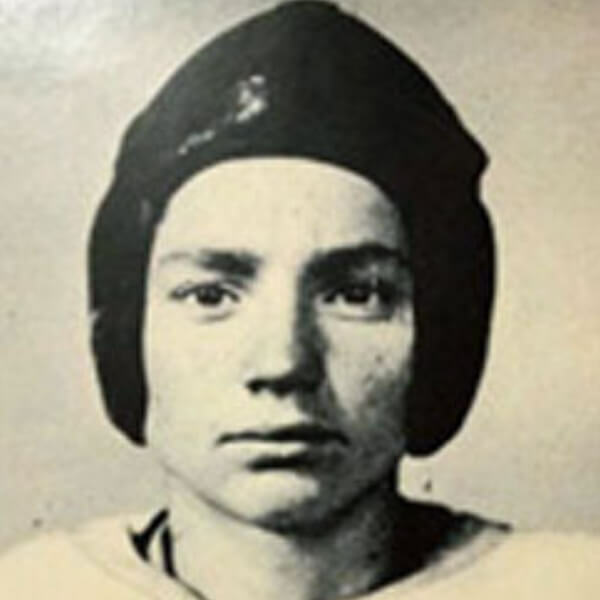 He was the halfback for his football team, and a guard for the basketball team too. Outside of sports, Nelson also raised pigs with the Future Farmers of America organization. But, in between all of that, he sang and played guitar in The Texans, a band formed by his brother-in-law, Bud Fletcher. 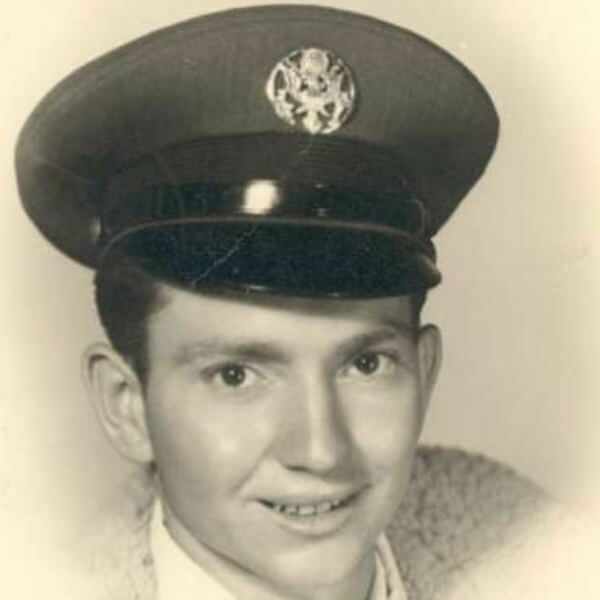 Long before he became relevant to country music fans, Nelson enlisted in 1950. Right after high school, the future activist was stationed at Lackland Air Force Base in San Antonio. However, he only lasted for about eight or nine months. The Texas native suffered from back problems, thus leading him to be discharged. Outside of music and other things, you’ll be surprised to see what he loves to do. Hint: it’s good cardio. Before breaking the bank as a musician, Nelson worked as a cotton picker. But, that’s not all. The Grammy winner would also be a Bible salesman too and sold vacuum cleaners and encyclopedias door-to-door. 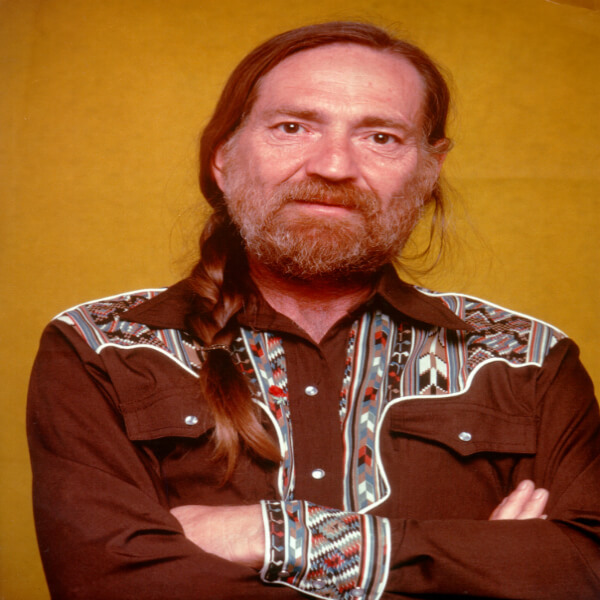 Despite his lack of on-air experience, Willie worked as a disc jockey at KVAN in Vancouver, Washington. 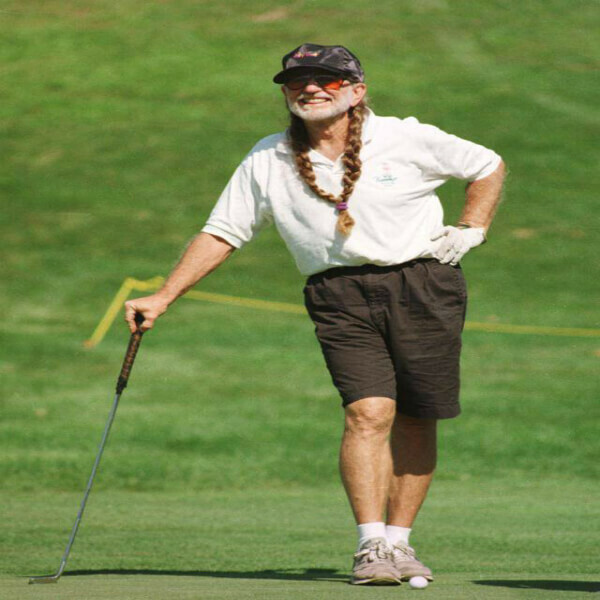 With a handicap of 16, Nelson owns a golf course. 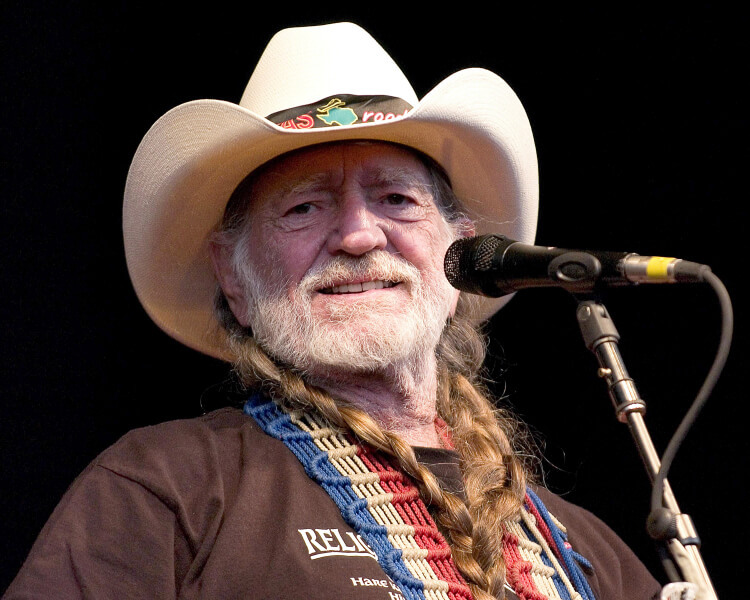 It’s located near Austin, Texas, and Willie Nelson’s Cut N’ Put is known for its laidback atmosphere. The best part about it is that he welcomes dogs. And, visitors are allowed to wear flip-flops while golfing at whatever pace they desire. 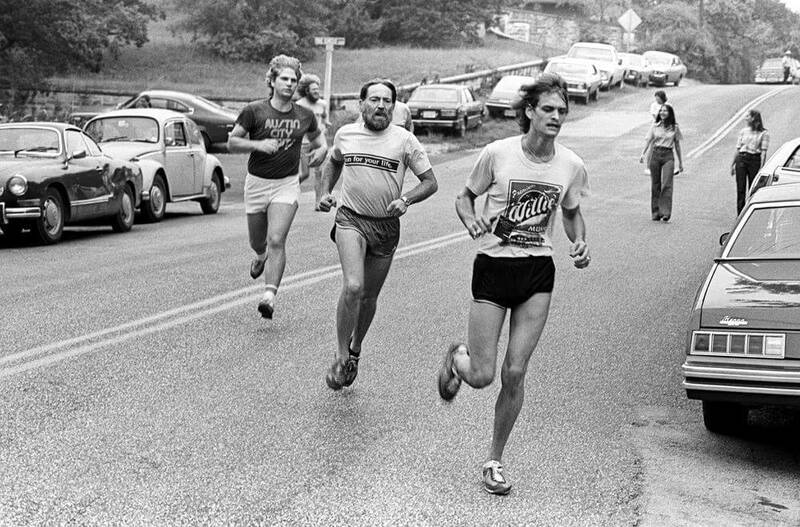 In an interview with Vanity Fair, Willie mentions that he has always been a jogger. “I like to run and ride my bike and swim.” Ever since he was a kid, the country artist has been practicing martial arts. At a 2014 ceremony in Austin, he was presented with a fifth-degree black belt in tae kwon do. There was a time when the 10-time CMA winner performed at the White House. 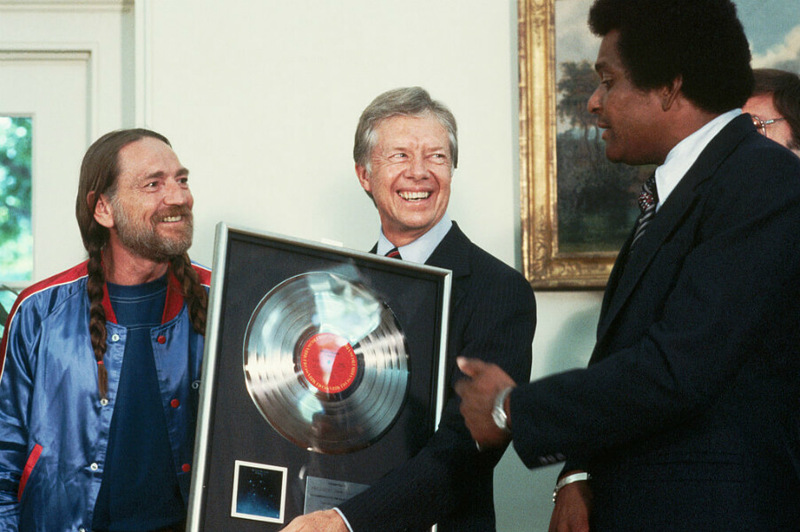 Nelson performed for President Jimmy Carter and his wife, Robyn. At some point during the performance, the First Lady decided to join the musician for a duet. After the performance at the White House, Willie and Chip Carter (Jimmy and Rosalyn’s son) headed off on a private tour. The tour of 1600 Pennsylvania Avenue ended on the roof, which they decided was a safe enough place to light it up. I mean, I guess that makes the most sense. The 12-time Grammy winner was on a flight with producer Sydney Pollack. Pollack was looking for a song for the movie Honeysuckle Rose, where Nelson plays an aging musician. While on the plane, he pulled the disposable vomit bag from the back of the seat and started writing. “On the Road Again” would become another No. 1 hit. Nelson cut his famous locks, but read ahead to see who he gave them too. 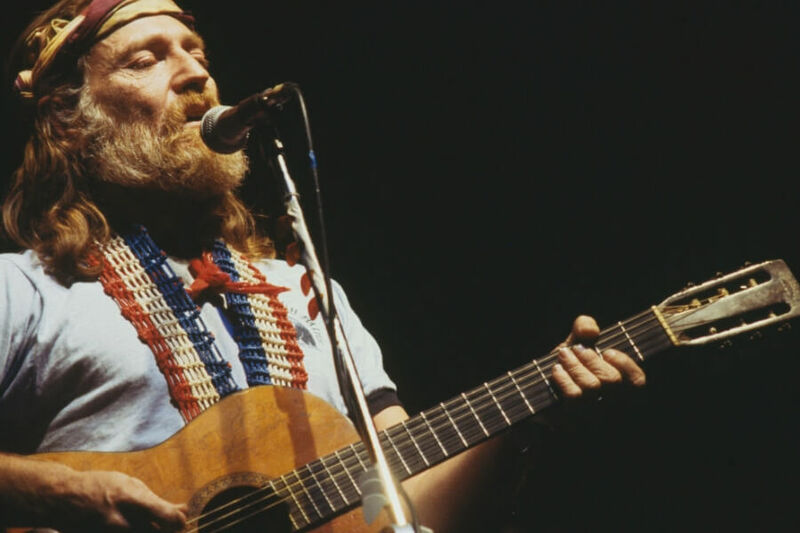 Thus, Shotgun Willie became the title of his 1973 album. Nelson’s 1978 “Stardust” hit No. 1 and remained on Billboard’s Top Country Albums chart for ten years. Four of the tracks became hit singles, and in 2015, the album was inducted into the Grammy Hall of Fame. Ironically, the record doesn’t include any country songs. It’s a collection of standards written by different musicians. 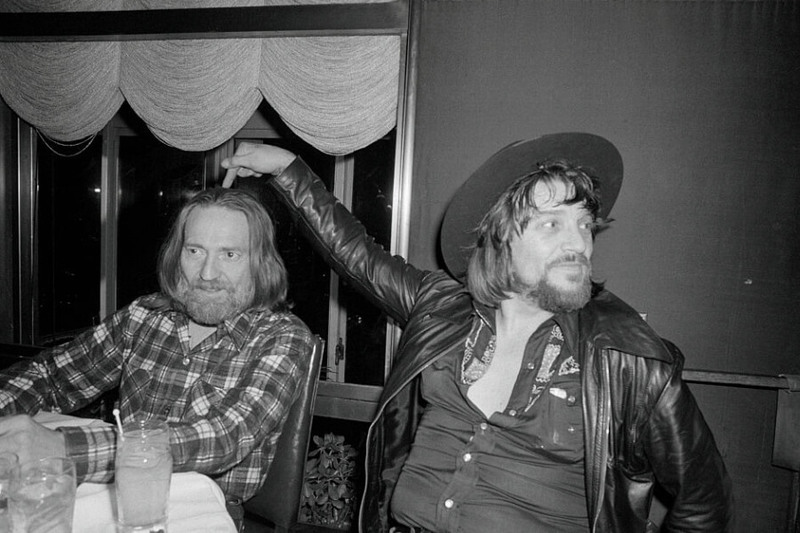 Back in the eighties, Nelson was at a party for Waylon Jennings. 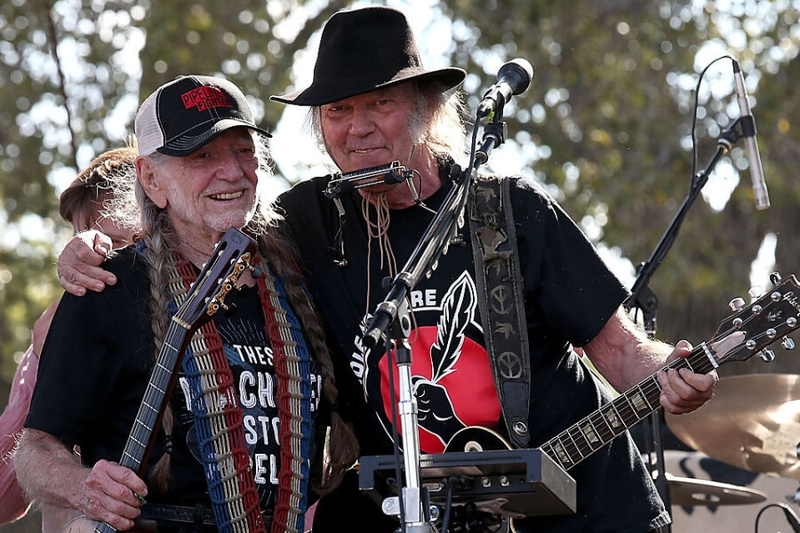 Since it was honoring his friend’s sobriety, Willie gave Jennings the famous red locks of braided hair that he recently had cut off. In 2014, Jennings’ estate was auctioned off, and Willie’s braids went on the block for $37,000. There’s a reason why Nelson’s outlaw symbol is not a pose. A woman once claimed that she hooked up with the most recognized artists in the country. She described it to be a marathon that culminated when Nelson did a backward somersault. Nelson’s first taste of acting was 1979’s The Electric Horseman. 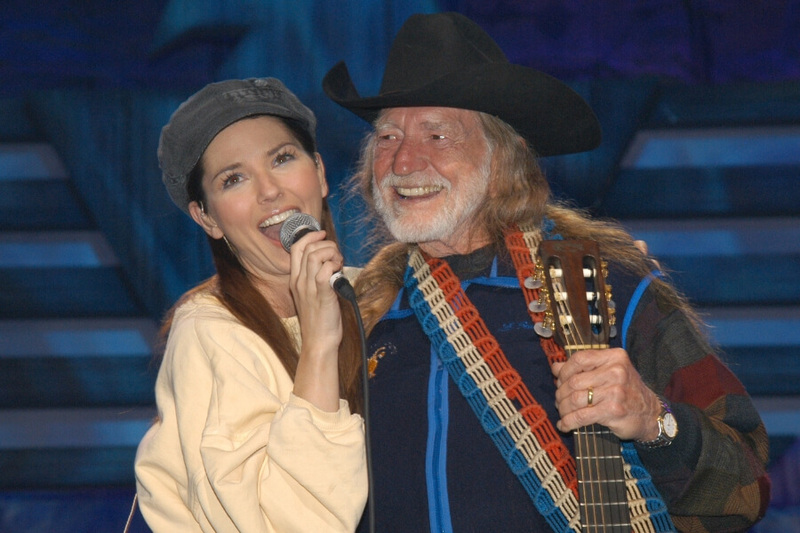 It was directed by Sydney Pollack, who hired Willie to write a song for Honeysuckle Rose. 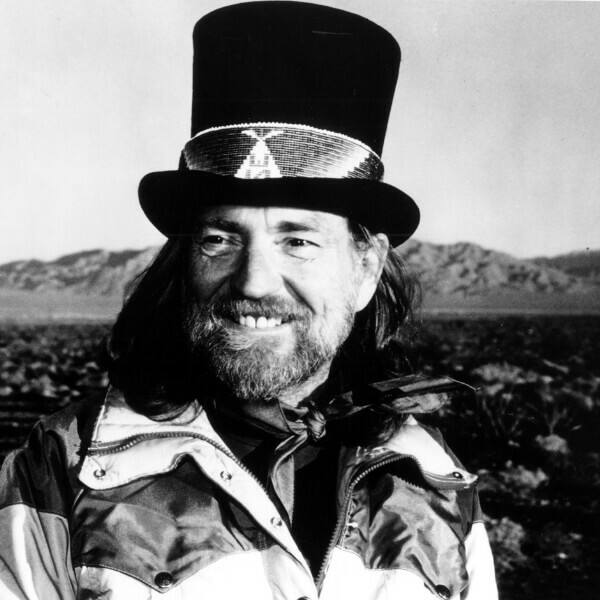 Willie also appeared in 1985’s Songwriter. Eventually, Nelson would appear in more films, but he would play himself in Woody Harrelson’s Lost in London. One of Nelson’s bust-ups was on his way to the funeral of Ann Richards, the former Texas governor. He got arrested for drug possession, and the court date prevented him from attending the Grammy’s. 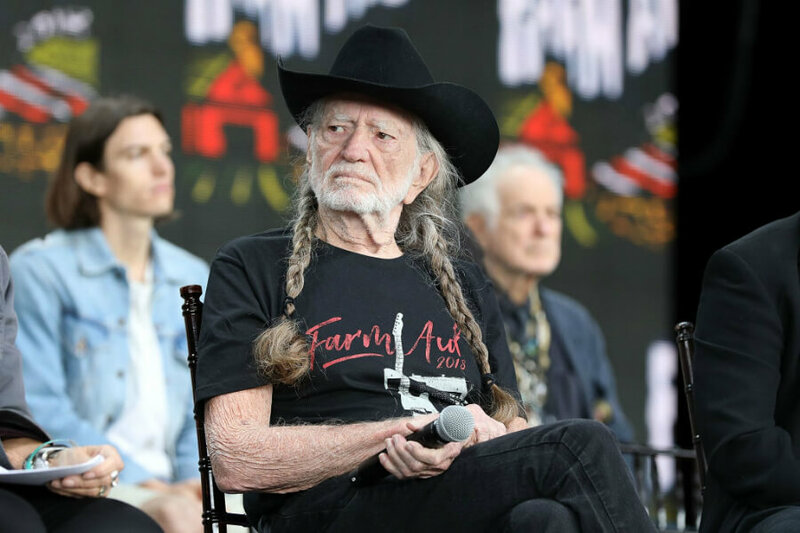 If that sounds weird, one time a prosecutor on a drug charge made Willie sing “Blue Eyes Crying In The Rain,” but the judge said no. He was very close with another iconic country star. Read ahead to see who that was! The 37-time award winner has hosted an annual Fourth of July picnic and concert. The very first one was held at a ranch outside of Austin. 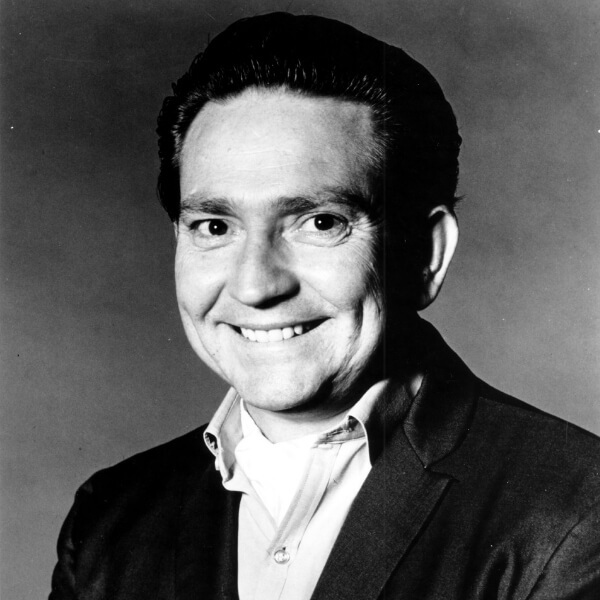 It featured Waylon Jennings, Kris Kristofferson, and John Prine. Later performers included the Doobie Brothers, Bob Dylan, and Neil Young. 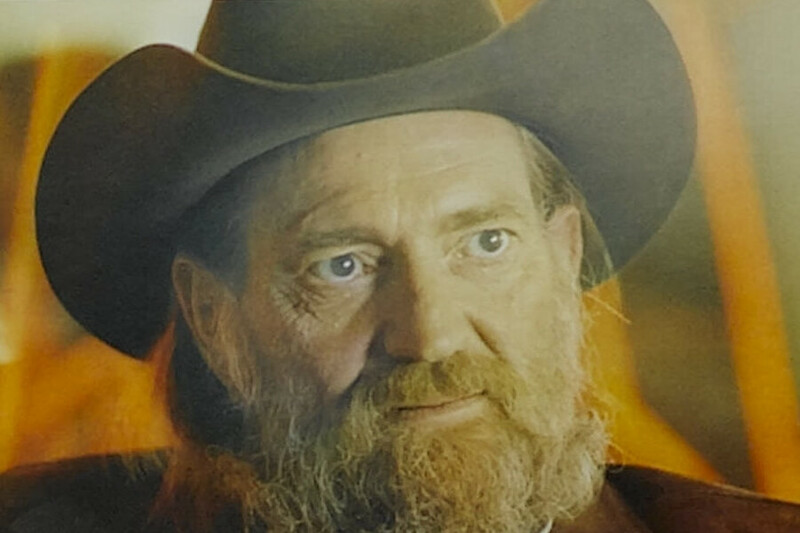 Shotgun Willie has married four times and fathered seven children. His first two marriages ultimately ended with a divorce. The split from his second marriage was brutal. His wife discovered a bill from the maternity ward of a Houston hospital, for another woman’s baby. That woman was Connie Koepke, who became Nelson’s third wife. 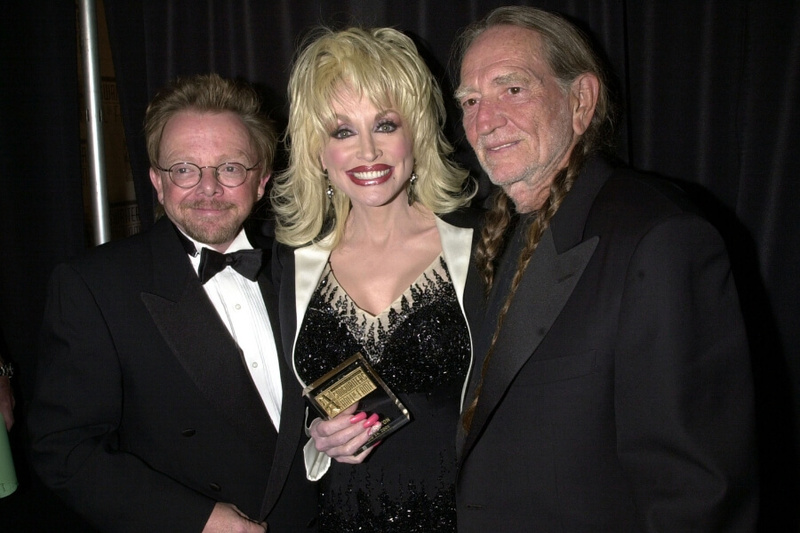 Parton added that she was one of the girls he loved. They never had a thing, but it’s always been a “what if” scenario. 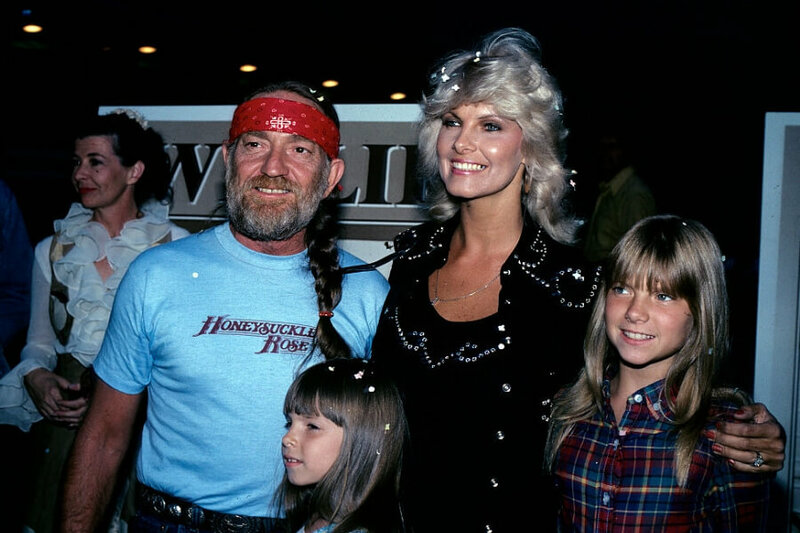 In 1990, the IRS seized the country star’s assets. They hit him with a $32 million bill for unpaid income taxes, among the largest in history. His lawyers would negotiate and brought down the number substantially. However, Willie stilled owed money. To pay off the debt, he released the double-album The IRS Tapes: Who’ll Buy My Memories? 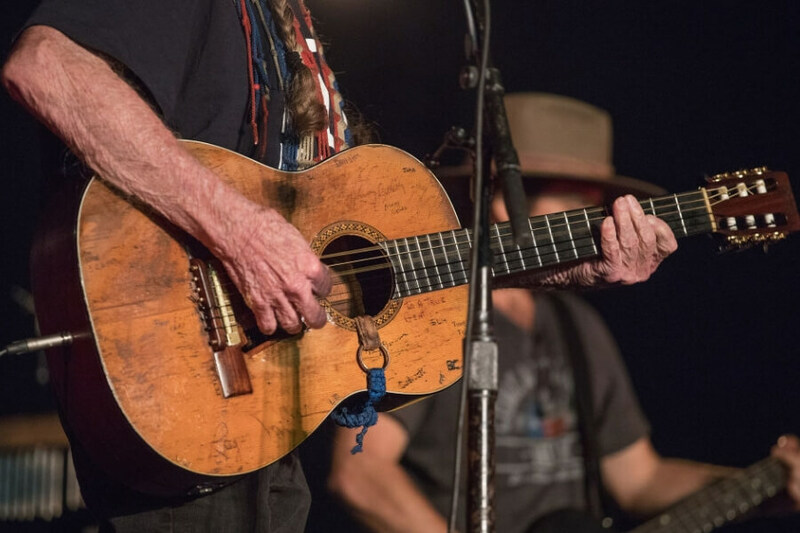 For decades, Nelson has been playing the SAME acoustic guitar — a 1969 Martin N-20 that he named Trigger, after Roy Rogers’ horse. Over 100 artists and friends have either signed it or scratched their names into Trigger. 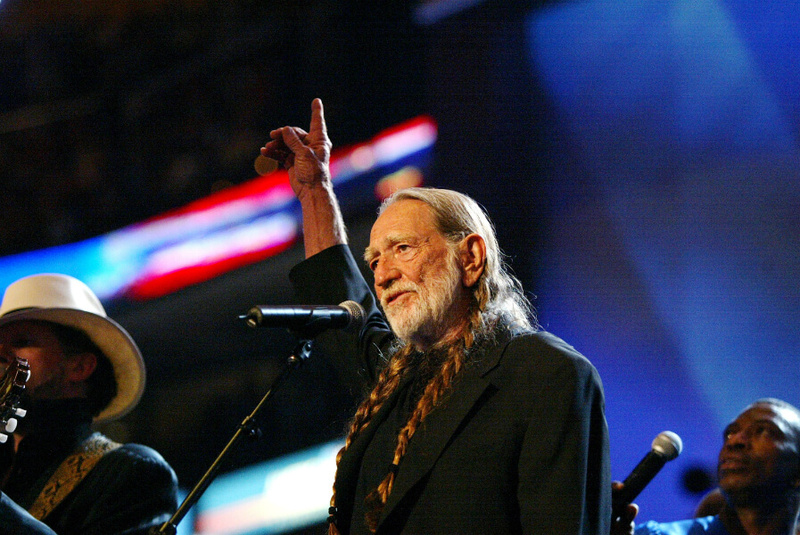 When Willie got into trouble for not paying his taxes, he had to hide it from the IRS.